How You Can Systematically Apply Billion-Dollar Business Principles to Achieve Exponential Business Growth, Provide EXTREME Customer Service, And Create Raving Loyal Fans For Your Business? Tired of Seeing your Revenues Stagnate, Never Being Fully in Touch with Your Customers, and Feeling INFURIATED with Competitors Forcing You to Compete on Price? …And Do It All While RAISING Your Prices? On June 29 & 30, 2018, I'm hosting the *2* Day Closing and Marketing Boot Camp in West Palm Beach, Florida. Last year's boot camp was such a huge success that the attendees were absolutely BLOWN AWAY by all the content and value they received. The Closing and Marketing Boot Camp helped me understand the importance of listening to my clients so that I hear the exact problem they are experiencing, and I can confidently recommend a product or service that will solve that problem. The event also assisted me with using client reviews in my marketing to grab the attention of new clients. Thanks for teaching so much content that I can implement immediately in my business! What Happens at the *2* Day Closing & Marketing Boot Camp? The same Closing & Marketing Principles, Strategies, & Tools my Clients have Used to Successfully Build MULTIPLE Multi-Million-Dollar Businesses, many of whom will attend this Exclusive Boot Camp AGAIN to Learn How They can Grow Even Further! 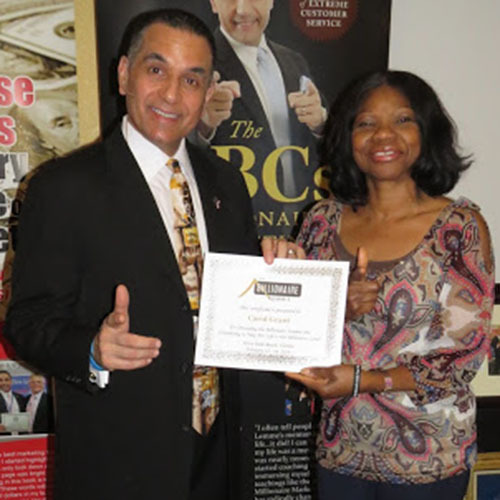 This is the best Closing and Marketing Boot Camp ever! Great content, amazing atmosphere of learning, awesome masterminding as always with different champions. Thank you for your preparation allowing us to maximize our learning and implementation. 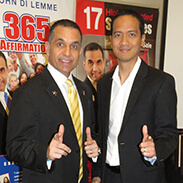 These LIVE events provide us the stepping stones to get to our next level and produce record-breaking results! Like Many of the Past Attendees, You’ll Likely be Shocked at the UNBELIEVABLE Amount of Pure Actionable Principles, Techniques, and Business Strategies that will be Shared During this Event! What an outstanding and extraordinary event! The champions in the room are inspiring, encouraging and success driven. I am building an iconic law practice to change lives. My dream of being an attorney was renewed at this event. The impossible is possible for me! The paradoxical reasons why lowering your price can kill your sales, and how *doubling or tripling your price point* in the correct way can result in explosive revenue growth! One absolutely essential skill for marketing and building relationships everywhere you go… and how you can practice it! Why sales people are fake, and marketers are real. Thank you so much for the incredible, life-changing event! I am just blown away by the amount of content and the quality and depth of it. I found the simple, powerful and ready to use subjects to be very helpful, and I am ready and excited to implement immediately. The value of the events are priceless. I know this event will just catapult me. Thank you again for such an amazing event and your leadership! AND Dr. Christa will be back again for this year's event! This has been the most educational and emotionally moving Closing and Marketing Boot Camp ever! There was so much direction in improving our businesses with the unbelievable amount of ideas, knowledge, and time-tested expertise! John is on the cutting edge of today's marketing. So many nuggets that I know will absolutely catapult my business. John doesn't come up for air, from the first minute until the last. He is on his game! There is not another coach or mentor in the world that has changed more lives and transformed more businesses than he has. This is my third Closing and Marketing Boot Camp. They keep getting more powerful, more motivating, and drive me to my next level. pTo be immersed in such great teachings and to be around all the champions is mind-blowing. 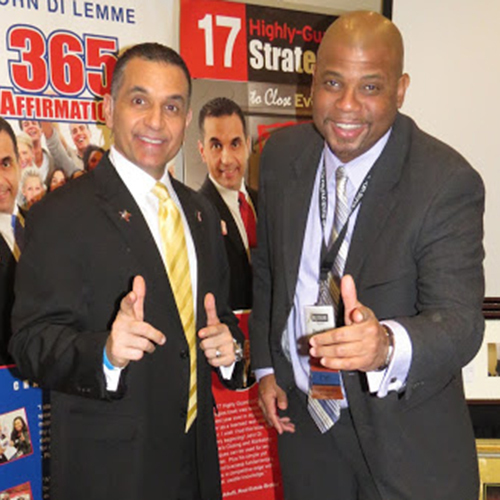 There is no doubt when you implement what you are taught by John Di Lemme you will be successful! It's amazing how many lives and businesses he has transformed! And the Return On Investment (ROI) is definitely hundreds of times more than that. You’ve seen the satisfaction in just a few of the reviews above. But I Want to Make This More Than a STEAL for You! So, How Do You Get Your Hands on the Recordings of the *2* Closing & Marketing University Boot Camp? Call (561) 847-3467 to speak with Christie about how get a hold of the recordings (CDs & MP3s) PLUS all training materials. Text (561) 847-3467 with your name and the best time for Christie to give you a call. That's Right! Email John@GiantGoals.com to schedule a time to chat about the recordings (CDs & MP3s) PLUS all training materials. 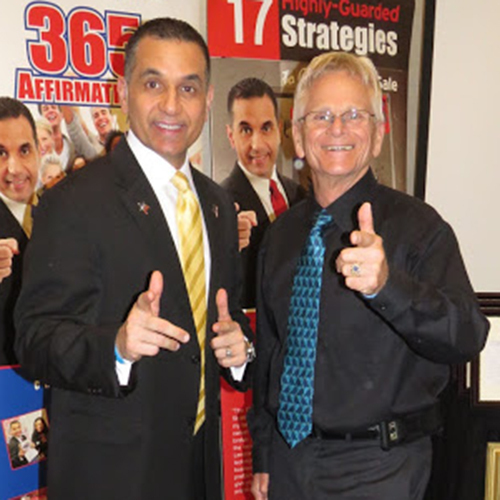 "The strategies that I learned over the past two days are highly valuable marketing principles and words that will lead to my mind-blowing results. I will take this wisdom to build and grow my loyal customer base. I will consistently implement and learn from my failing forward experiences to confidently customize, specialize, and improve my strategic funnel system to produce a memorable customer experience." See you at the next Closing & Marketing Boot Camp! But since you’ve had enough discipline and willpower to read this far, it’s safe to assume you’re not one of them. You are an action-taker, someone who will extract the most value possible out of this event. 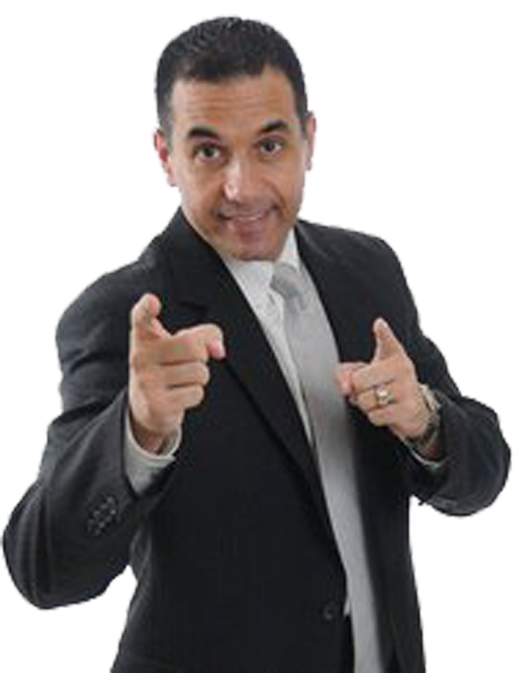 Get started SKYROCKETING your revenues, developing RAVING FANS, collecting UNBELIEVABLE reviews, and get new customers EFFORTLESSLY… Raising your prices, and feeling more fulfilled with your business - RIGHT NOW. 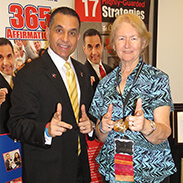 I Guarantee that the Closing & Marketing Boot Camp will EXPLODE Your Results...Test Me and See! P.S. If you want to SKYROCKET your business results, develop extreme customer service, turn your customers into raving fans, and raise your prices while growing your cash flow - Then you must COMMIT to attend the *2* Day Closing and Marketing Boot Camp! The only way you lose money is by not grabbing a hold of your ticket to this event, and not applying these incredibly, powerful, actionable teachings to create your own million… ten-million… or even BILLION dollar business. Don’t wait on the sidelines for your business to grow on its own. Take the growth into your own hands…Reserve Your Seat Today…and see the results you get! Grab a Hold of Your Ticket to the *2* Day Closing & Marketing Boot Camp NOW! Call (561) 847-3467 to speak with Christie about securing your seat Plus Bonuses! Text (561) 847-3467 with your name and the best time for Christie to give you a call about your ticket. That's Right! Email John@GiantGoals.com to schedule a time to chat about the Boot Camp and how to reserve your spot.